There are professional players of the game, foosball players associations, and more and more foosball competitions are popping up. No matter what your skill level, this game is fun and exciting and choosing a foosball table for your home is sure to provide you with years of entertainment. This is still what the French call the game of foosball. One thing that may prove the theory of Rosengart being the inventor of this game is that it is thought that he first invented the game during the 1930s. However, there are rumors that state this type of game was being played throughout Europe in many parlor rooms during the late part of the 1880s. Another person who may be responsible for the invention of the game is Alexandre de Finesterre. Alexandre became a victim of one of the bombing raids of the Spanish Civil War. 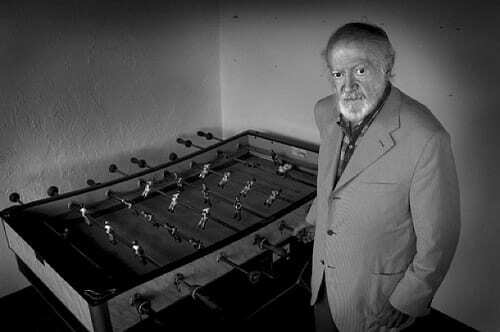 It is thought that he became bored during his hospital stay and in this time invented a game that he called futbolin. People who believe that Finesterre was the original inventor of the game say that he had a patent for the game during the year 1937, but the patent documents were lost so he did not receive credit for his invention. The first official patent for a game similar to the game of foosball was taken by Harold Searles Thornton. Thorton recieved the patent for a game that involved men moving on rods that kicked balls in the year 1927. Unfortunately for Thornton, the game did not take off and sales were poor. He did not renew the patent. To this day there is not one set of rules or name that is accepted universally for the game of foosball. When it comes to the rules of foosball, there are just a few to follow in order to get started. If you are planning to just play for fun, these basic rules are good enough to get you started. Each foosball table comes with nine balls. This means that you will play the best out of 9 balls, so the first team to reach 5 goals is the winner. If a ball enters a goal legally, it counts as a point. It does not matter who hit it into the goal. Use a coin toss to determine who will serve first. The ball can be served through the hole in any manner, but you have to touch the ball with one of the men before it is scored. ​After a goal the team that was scored upon will serve the ball. ​Any ball that goes off of the table will be given to the team that was last scored upon. ​If the ball stops moving and cannot be reached it becomes a dead ball. The ball is given to the team that was last scored upon. ​You can call time out if you have the ball, but make sure the other team is ready before you begin playing again. ​When the ball is in play you cannot reach into the table. The ball can only be in one place for no more than 15 seconds. The basic game of foosball is a simple race to score five goals. The first team to reach five goals will win the game. Some people prefer to play matches where the best two out of three or three out of five will win the match. There are several common game formats as well. Singles is where one player versus one player and each of the players controls 4 rods on the foosball table. A doubles format is two players against two players and one player per team controls the defensive rods and the other player on the team controls the offensive 3 bar and the 5 bar. Another game format is called a goalie war. 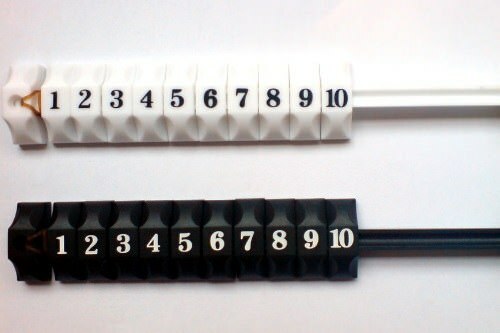 This is a one on one format and each player only controls the defensive rods and the middle four rods are not used. When you first start playing foosball you will realize that while the game looks quite easy, there is some skill involved in order to become a better player. Following you will find some tips that can help you improve your game. One issue that many beginning players have is that they tend to grip the handles of the foosball table to tightly. It is best to have a loose grip on the handles so that you can maximize the movement and the speed of the men and also limit the resistance. The proper hold for a foosball table will have a small gap located between the skin that connects the thumb with the index finger and the handle. If this area of the hand is completely wrapped around the handle of the foosball table, you are gripping the handle to tightly. Remember, the foosball table is not a baseball bat or a tennis racket. Another shooting tip is to quickly turn your wrist so that the rod spins around 180 degrees when you are taking a shot. If you turn your wrist about a quarter of a turn there will not be enough speed on your shot. It is also possible to shoot open handed where you will roll the handle on your wrist. This will increase the speed of the shot. When you are serving it is legal to serve yourself the ball. This is why the coin toss at the beginning of the game is important. If you simply stick the ball through the hole on the serve you are essentially throwing away your possession and giving your opponent the opportunity to score. You should learn how the art of spinning the ball on the drop so that it goes directly to the men located on your 5 bar. This simple trick can help you score quickly on your serves. If you are playing foosball at a bar, slide the rubber bumper down to the end of the rods. This helps to get it clean. When the bumper is sliding down the rod it will clean some of the buildup off, which could slow the rod action. This tip should not be used on your home foosball table. Instead, simply add more silicone directly to the rod because sliding the bumpers can cause the tips to flake, which will wear them down over time. The first thing you should do for defense in foosball is to move your 2 defense rods close together so that they form a single defensive unit. Defensive players should not overlap, and you will want to avoid crossing back and forth. It is possible to position your defensive men into a formation so there is not enough room to allow the foosball to go between them. The gap is about sixty percent of the width of the ball and, when used correctly, can make a huge impact on your game. When you are playing foosball you are always playing defense. You need to make sure that you follow the ball wherever it goes on the table. Many people who are new to the game get distracted a lot and miss blocking shots. For example, if the ball is on the right side of the table and your partner is playing offense, your men need to be on the right side as well. You should be constantly moving your men if you are playing defense correctly. When you are playing one on one you can use the pinkie finger and your thumb of your left hand in order to play your defensive rods one at a time. You will need to hold the rod in front of the handle, but do not hold on to the actual handle in order to get a good grip. This defensive formation is good for when your opponent is taking shots on the defensive side of the table. Some of the most annoying goals that are scored against you are those that could be avoided with some basic defensive fundamentals. If you are playing with a three man goalie rod you will begin to notice that many shots will hit the two outside men which are not even in front of the goal. It is important to remember that these men are there to keep the ball in play and they are not used for defending shots. A simple maneuver that you can use is to tilt the men backwards when shots are going to hit the wall. This will help avoid an accidental bounce that would hit your men and score on yourself. If the men are tilted the ball will hit the wall and be caught by your 2 bar defense rod. When you are playing defense against players that are more advanced you will need to learn to alternate your defensive patterns and movements so that you can distract your opponent and to make your defense more unpredictable. If you are doing the same movements over and over again, your opponent is going to quickly catch on. You cannot overlook the mental portion of your defensive strategy. Many people think that they need to have their entire goal covered. This type of defense is often called a zone formation. 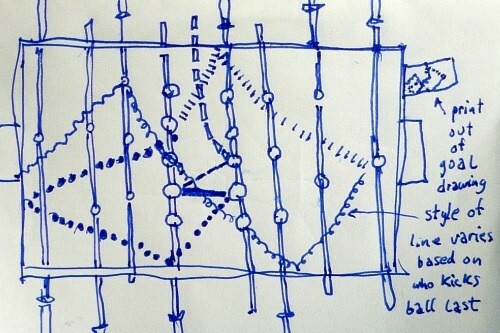 You should know that the goal is 5 widths of the ball, but you do not need to completely defend all five of the holes. 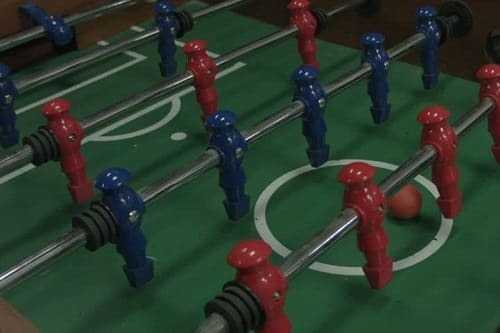 Each foosball man’s toe is the same width as the foosball. If you have one of your men covering half of the first hole and half of the second, a straight shot towards these holes will be deflected. One important note about covering the holes in this way is that bank shots or spray shots can come in at angles and go into the goal, so you have to pay attention and move the men accordingly. Now that you know a little bit more about the game of foosball, you may be thinking about purchasing one of these tables for your home. After all, this game is really fun and something the entire family can play together. There are three main types of foosball tables available. As suggested by the name, a stand alone foosball table will stand on its own. 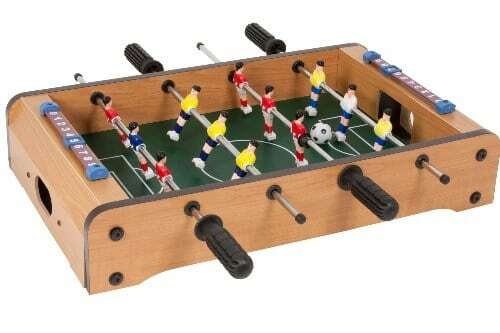 This is the most traditional type of foosball table available and typically comes with the legs already attached. 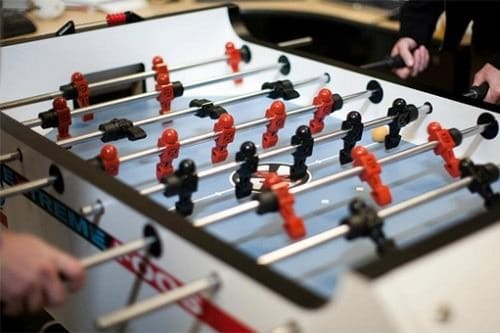 Foosball tables vary in dimensions, but they are typically larger than most tabletops and will cost a bit more as well. A high quality stand alone table will last for a very long time if it is properly cared for. These tables offer the most authentic play. 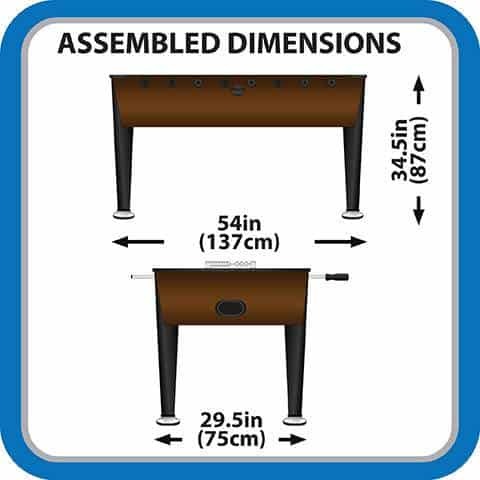 Stand alone tables are perfect for older children, teens, and adults. There are some stand alone tables that have adjustable heights, which makes them perfect for any age. 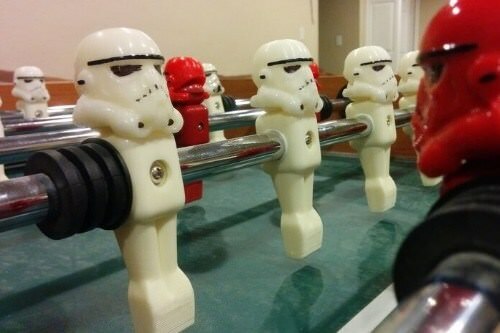 Tabletop foosball tables are designed to sit on any sturdy surface. These tables are lightweight and much smaller than stand alone foosball tables. You can transport these tables easily around the house or take it wherever you want to. One of the nice things about tabletop foosball is that it can be set up on the floor, on a spare table, or any other hard surface that you may have in your home. Simply place the table where the players are going to be most comfortable playing. 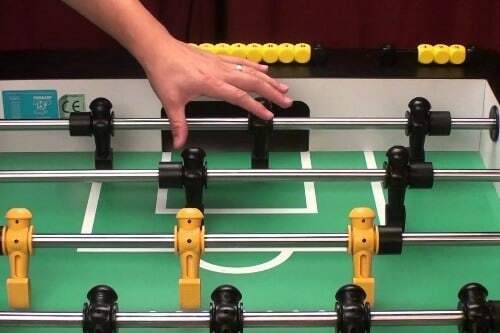 A tabletop foosball game is perfect for younger children as well as those who are just starting out as the tables are cheaper than the traditional stand alone tables. It is also perfect for those who want portability. When searching for a tabletop foosball table make sure to find one that has non-scratch and non-slip pads on the bottom in order to protect the surface that you sit it on. A multi-game foosball table is made so that it can be converted into other tabletop games such as chess, checkers, table tennis, or air hockey. This is a good option if you have children that like to play different tabletop games or if you have a limited amount of space and want some versatility in your gaming options. When you want to switch from playing foosball to another game you will need to remove the rods from the foosball table. You can find multi-game tables in both a stand alone version and a tabletop version. Multi-game tables are often more expensive than the other two basic types of foosball tables, but they provide more variety. Now that you know what types of foosball tables are, it is time to consider the ﻿﻿size of foosball tables. Chances are that you have a limited amount of space to place your foosball table, so the foosball table size is going to be a factor that you will need to consider. Understanding the amount of room or square footage that is necessary in your basement, bar, or gameroom is important as this will allow you to plan your space in order to properly fit in a foosball table. Just as you would measure for a pool table, you will need to factor in the amount of space needed for people to play foosball and not just for the table to fit inside the room. 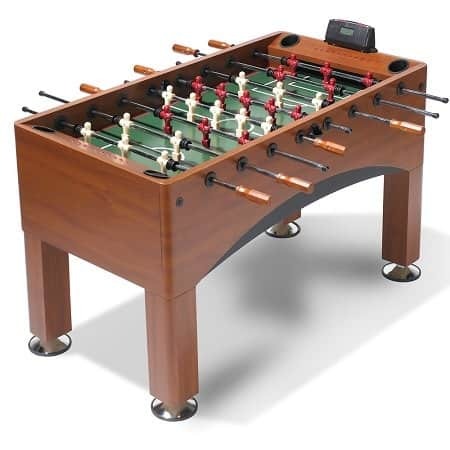 You do not want to purchase a foosball table, get it all set up, and then find out that you will not have enough room to pull the rods out without hitting a wall or some other obstacle. 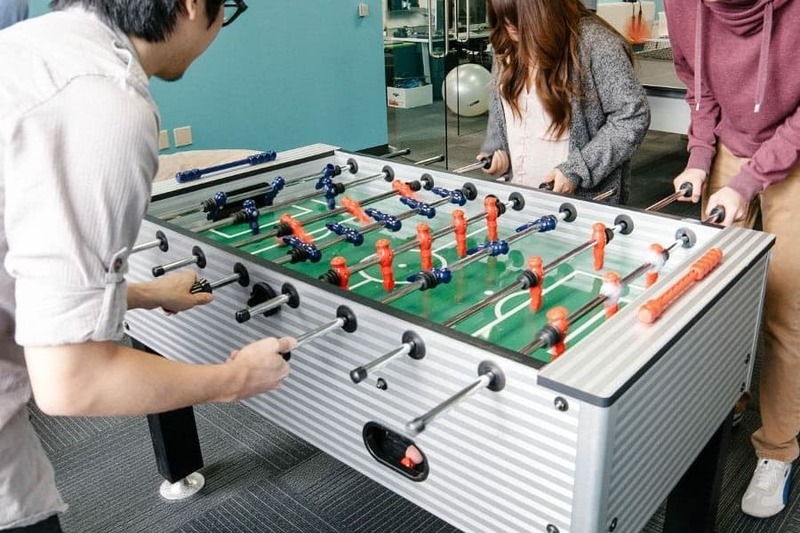 The majority of standard full sized fo﻿osball tables measure around 2 and a half feet wide and are typically about 5 feet long. Regulation sized foosball tables are 30 inches wide, 56 inches long, and 36 inches in height. When measuring the space in your room for a foosball table you will also need to consider that people will need about 3 and a half to 4 feet of room on each side of the table in order to be comfortable when they are playing the game. This is especially important for people who are using a proper foosball stance when they are playing the game. Ideally you will want to have a space that is 10 feet wide by 5 feet long to ensure that you have enough room for the foosball table and players. When you are ready to purchase a foosball table it is important to make sure that you always r﻿ead review﻿s about the table. There are some things that you simply cannot feel or see about a particular table from a photo or even when you are looking at it at a department store. 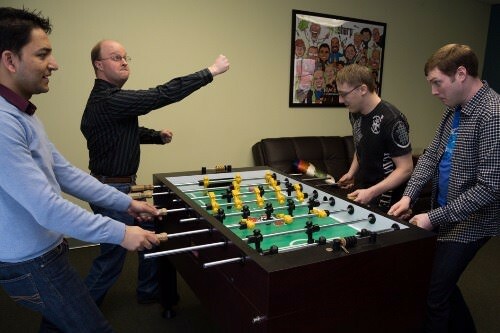 The following tips can help you choose the perfect foosball table for your particular needs. Does the foosball roll randomly on top of the table: If this occurs it is a sign that the foosball table is cheaply made. If the table is completely level you should be able to stop the foosball and have it stay put. This is important to consider as it is impossible to play on a table where the ball keeps rolling no matter what. Hollow Rods: A higher quality rod will be hollow as this reduces the weight and increases the speed of the rods. ​Where is the ball return: Most higher end tables will have a side ball return as this allows for faster play when you are practicing on your own. Side returns add convenience, but are not necessarily a deal breaker for purchasing a specific foosball table. ​Adjustable legs: This feature is more for convenience than anything, but legs that are adjustable make it easier to provide a consistently smooth game. 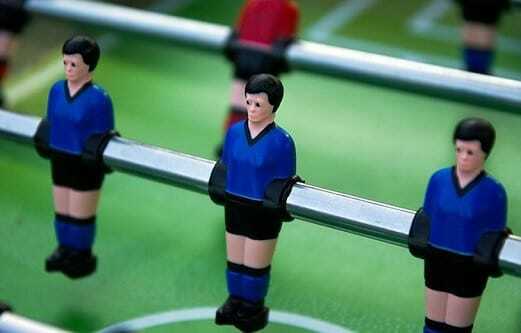 ​Counter balanced foosball men: When placed in a horizontal position your foosball men should hold steady. If the men are not counterbalanced they will simply fall back to vertical. This can be frustrating during a match as you will have to keep putting your men back up in order to avoid blocking your own shots. Handle material: The best material for handles is wood as this provides the best grip. 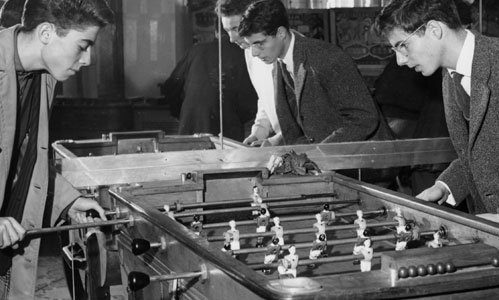 When it comes to foosball, the game has a long history. It has been popular for a very long time with reason. This game is fun to play for all ages and is something that friends and families can compete in for many years. 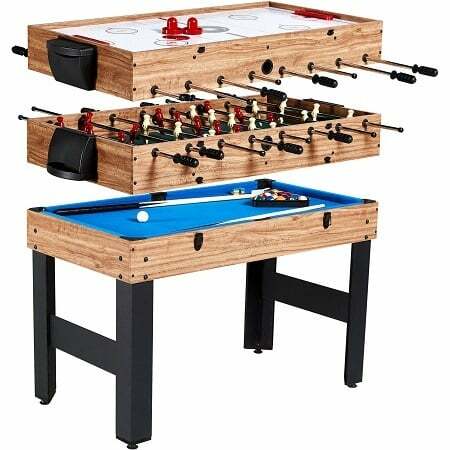 Purchasing a foosball table will require a decent amount of space, but with so many options available you are sure to find the perfect foosball table to meet your needs. Just make sure to measure the space you have before you make a purchase and you will be well on your way to hours of entertainment.